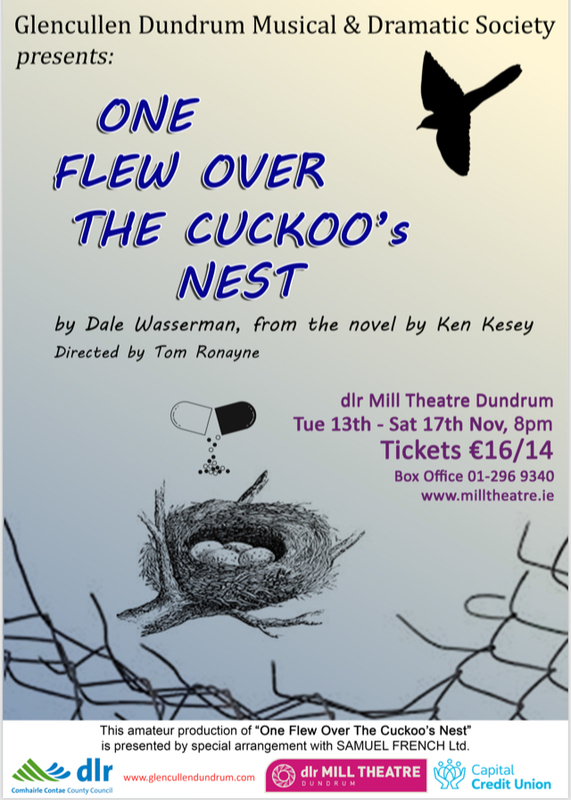 Glencullen Dundrum MDS are excited to be back for another great production of ‘One Flew Over the Cuckoo’s Nest’ by Dale Wasserman at the dlr Mill Theatre Dundrum from Tuesday 13th – Saturday 17th November 2018. When Randle P. McMurphy gets transferred from a prison farm to a mental institution, he assumes it’ll be a less restrictive environment. However, the authoritarian Nurse Ratchet runs the psychiatric ward with an iron fist, keeping the patients in line through mental abuse, medication and electric shock therapy. The battle of wills between the rebellious McMurphy and the inflexible Ratchet soon affects all of the ward patients. Book now and enjoy an evening of entertainment! Tickets available HERE.